A new season brings a new feeling to the Safe Haven Shelter’s Children’s Program. 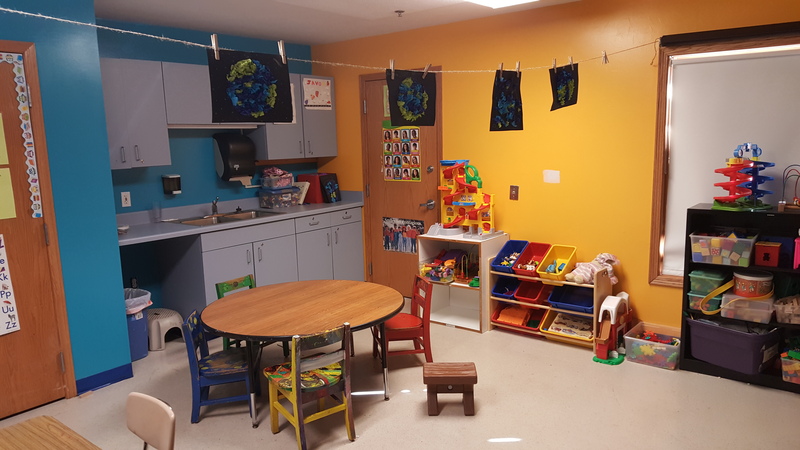 What was once referred to as the “playroom” has been in transition creating a structured Learning Center for the children who call shelter home. 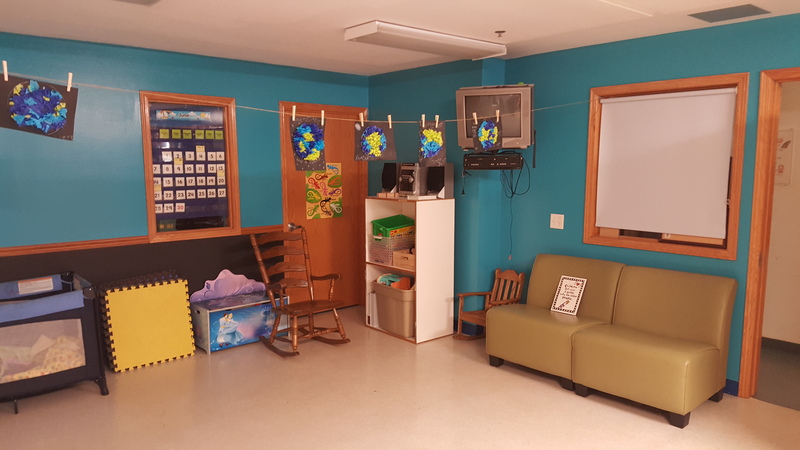 With new paint covering the walls, the space is now divided into three different areas; the craft space, the dramatic play area, and the reading corner. The defined spaces allow children to be creative, learn, and play. 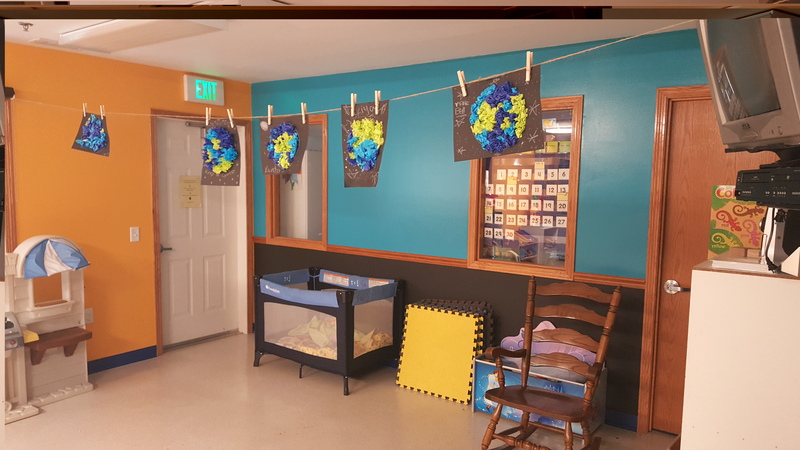 The craft area is complete with two children sized tables, hand washing station, and places for children to display their artwork for all to see. From a kitchen playset to building blocks, the dramatic play area offers a wide array of hands-on activities for kids of all ages. A cozy reading nook offers a space for kids to curl up on a soft chair and read a book. This unique space also offers a creative learning wall, as well. The wall is complete with a monthly calendar that includes the weather forecast, the days of the week, numbers, months, temperatures and seasons, and the top of the wall is lined with the alphabet for a wide variety of learning opportunities. The wall rounds off with a chalk board along the bottom to allow children to put their knowledge to the test in a creative and fun way. The new children’s Learning Center offers children of all ages an educational and fun experience to explore different ways to express what they’re going through on a day-to-day basis. Whether they want to do some arts and crafts, play pretend, or read a book, the learning center can provide them with almost anything they could imagine. Indoor fun isn’t the only thing being offered for the children this summer, either. The new summer program is complete with a weekly schedule to provide some fun throughout the long summer days. The weekly schedule is composed of different themed days, Monday through Friday: science, baking, arts and crafts, field trip, and beach day. With providing children with science, baking, and arts and crafts, they will be able to keep busy and have some creative learning time while having a blast with friends. Field trip days include a variety of trips including rocking climbing, kayaking, the zoo, aquarium, Tom’s Logging Camp, Enger Tower, and a Huskies game. And no summer would be complete without a beach day for those hot summer days! Beach days are not just a trip to park point every Friday—the children have opportunities to see the many different water sources we have around the Northland, including a trip to Gooseberry Falls, Brighton Beach, Pike Lake, and Island Lake. With a packed summer of fun, we look forward to sharing these changes with the children we serve. At the end of the day, their happiness validates all of our hard work.